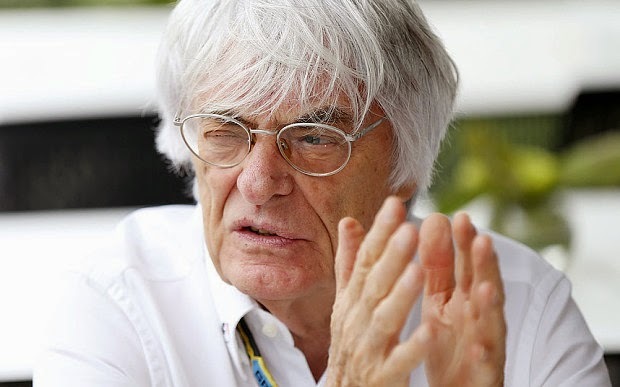 Bernie Ecclestone was interviewed by Campaign Asia-Pacific (nope, never heard of it) and pretty much compounded most fan's belief that he's a geriatric idiot who sold F1 down the river for a few (billion) quid in his pocket. "I’m not interested in tweeting, Facebook and whatever this nonsense is. I tried to find out but in any case I’m too old-fashioned. I couldn’t see any value in it. And, I don’t know what the so-called ‘young generation’ of today really wants. What is it? You ask a 15 or 16-year-old kid, ‘What do you want?’ and they don’t know." "If you have a brand that you want to put in front of a few hundred million people, I can do that easily for you on television. Now, you’re telling me I need to find a channel to get this 15-year-old to watch Formula One because somebody wants to put out a new brand in front of them? They are not going to be interested in the slightest bit. Young kids will see the Rolex brand, but are they going to go and buy one? They can’t afford it. Or our other sponsor, UBS—these kids don’t care about banking. They haven’t got enough money to put in the bloody banks anyway. That’s what I think. I don’t know why people want to get to the so-called ‘young generation’. Why do they want to do that? Is it to sell them something? Most of these kids haven’t got any money. I’d rather get to the 70-year-old guy who’s got plenty of cash. So, there’s no point trying to reach these kids because they won’t buy any of the products here and if marketers are aiming at this audience, then maybe they should advertise with Disney." "They say the kids watch things on [tablets and phones], but it doesn’t mean they’re watching Formula One. And even if they are today, will they still watch it when they are 40? The world has changed so much in the last few years, and I doubt that’s going to stop. But with all the technology out there are limits to what we can do and the amount of time people can watch something." So, even if you started watching F1 in your teens Bernie doesn't care. It's only when you got much older and had some spending money that he cared about you. Bernie Ecclestone cares nothing about F1, that is obvious. He doesn't want to grow it, he doesn't want it to appeal to a wider audience, he doesn't want you watching it if you are young. I'd argue that F1 'belongs' as much to the audience, those of us who've watched it all our lives, than it does to him and his partners in crime, CVC. What a jerk. Let's all laugh at him failing to walk through a door properly.